Winshuttle recently organized an Oil & Gas workshop in Aberdeen, Scotland where both upstream and downstream organizations discussed the challenges associated with increased data volumes, complexity across multiple assets, endless changes in processes, and limited technical resources to handle ongoing operations and data migration activities. During the discussions, some of the largest companies in the world revealed their plans to reverse the working rotas for its offshore operations in the UK North Sea. 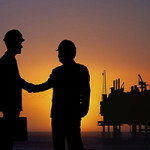 Starting in 2019, some of the largest companies will move to two weeks offshore and three weeks onshore (2/3) rotas, following an extensive campaign by offshore trade unions and a report by Robert Gordon University which identified that workers on three-week, equal-time rotas were nearly twice as likely to experience ill health as those on two-on-two-off shifts. This is obviously good news for thousands of workers employed by these huge organizations, but it’s also a substantial organizational change as it means there’s a lot of hiring to be done. On top of this, the older crew, comprised of nearly 50% of the industry’s employee base, would be retiring in the next 5 years (according to this analysis published by Forbes), taking all that invaluable knowledge and experience with them. As the older generation retires and the new working rotas increase the demand for workers, millennials joining the workforce are suffering from poor onboarding processes and lack of training on core systems like SAP. Is in this context where customers mentioned they are planning to use Winshuttle Foundation to reduce dramatically the training required for all the new hires. Foundation automates key business processes in SAP across the organization using workflow applications that use web forms or Excel spreadsheets as an alternative easy-to-use user interface. One critical area where these organizations are successfully applying end-to-end process automation is Plant Maintenance. By allowing maintenance teams to easily enter work orders and notifications through a web form or Excel workbook, companies can facilitate employee onboarding while improving efficiency and data quality, as the automated solution can include business and validation rules to ensure the data entered in SAP is complete and error-free. 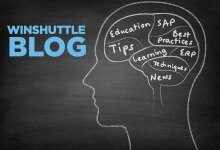 In addition, Winshuttle can help with the mass upload of all the training data and catalogs in SAP, to facilitate this cumbersome task associated with any training or onboarding initiative. If it’s not bad development, is it bad requirements gathering? What are the Components of a Perfect SAP End-User?